Flower Power Shoppe at Webworld Mall for plants, bonzai trees , landscaping tools and plants and flowers. Flowers make the perfect all occassion gift. Use the Get-in2 flower shopping showcase shown below for to to date flower and plant specials. All inventory, prices and seasonal specials are updated every day so these products are always available for immediate sale. Hit the "shopping" link to refresh the window shopping showcase.. Enjoy the flower arrangements. Native to the Fujan Province of China, the Carmona has small white flowers that can bloom at any time. The evergreen foliage is dark in color and small in size. Loves the heat and does great indoors. 11 tree group each 11- 42 years old. 45" tall. Potted on a slab 71"x45" as shown. Crated and trucked - $300.00. Native to the Fujan province of China, this tree has small white flowers that can bloom at any time. The foliage is dark green and small in size. The flowers turn into red berries that turn darker with age. Loves the heat and does great indoors. 29 years old. 18"x18"x28". Potted in a 14.5" brown rectangle mica container as shown. 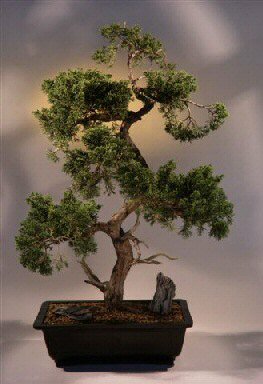 Suitable 14.5"x10.5"
This youthful juniper plant can be rewarding when the proper care is provided. Since it is around 7-10 years old, it is strong enough to withstand more temperature and light variations, yet it is still flexible to train into unique patterns and shapes. Just as you want your groceries to be fresh, you should also expect your flowers to be. Unfortunately, flowers do not have a "best before" date stamped on them. There is virtually no way of knowing just how fresh they are, or how long you can expect your flowers to last. Essentially the typical supply chain works likes this... At the end of a flower growers day, all previously cut flowers that are not sold directly to consumers like yourself (Direct from the Grower), are then shipped to auctions or wholesalers throughout Canada and the United States. These are in turn sold at a discount to florists who stock them as inventory in their coolers until they can be sold to consumers. Therefore, through the traditional supply channels, consumers often get a three to five day old bouquet. Because we at Grower Flowers cut our flowers every day of the year, we don't have to maintain a "consumer ready" inventory. By purchasing your flowers direct from the greenhouse grower, you receive only the freshest possible product, guaranteed. The flowers you receive from our growers have been harvested within the past 24 hours, and will mature to magnificent full blooms for maximum enjoyment. Click here to send fresh flowers direct from the grower! Whether your new to indoor growing, or a seasoned veteran, you'll be amazed at what we have to offer in quality. We specialize in providing high quality hydroponic growing systems at an affordable price. Tired of paying upwards of $3,000 for similar grow light chambers for nuturing indoor plants? Well, search no further as we are the leaders in hydroponic plant growing systems! Our prices are rock-bottom and our quality/safety/Plant Root neutrient delivery blows the competition away! Plug-N-Play Hydroponic Growing System Blends Into Any Decor with Simplicity to express your green thumb skills... indoors! The Cool Cab is one of our newer products designed based on customer requests. The hydroponic Cool Cab has the same indoor plant quick growth functionality of indoor hydroponic hot houses, but with an exterior more suitable to blend in with household furniture. Unlike the Caddy this unit has a built in cloning system in the upper portion allowing for easier access to clones and mother plants. This unit has all the same great features all of our Sunlight Sheds boast including cool running temperatures, safe, and of course USER FRIENDLY. Floral arrangements from get-in2's floral merchants are sure to get you brownie points at home. 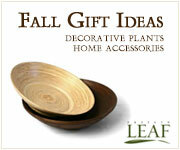 These has been our shoppers favorite gifting item for over 8 years. This page contains florists and gardening specialty retailers most preferred by our over 4.9 million shoppers. Bookmark this page so you can return here to shop all year long for flowering gifts, hydroponic hot houses and Bonsai Trees. "Bonsai Trees Can Be A Treasure Forever !" ...... Bonsai Boys of NY is the largest suppliers of Bonsai Trees and supplies on the internet offering hundreds of items at low prices. We offer a variety of bonsai, including junipers, Azalea, Rosemary, Brush Cherry, New Zealand Tea Rose, Citrus Trees, Snow Rose Serissa, and much more. 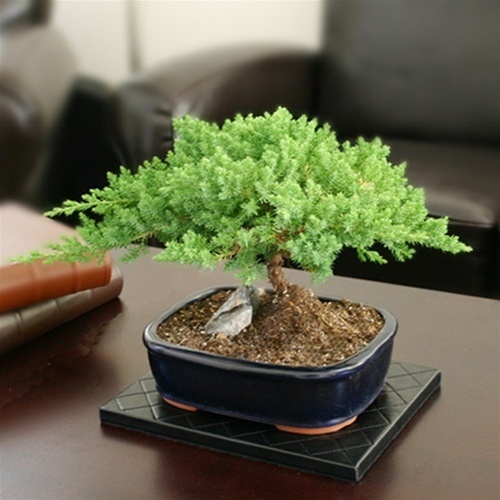 Bonsai Boy's unique trees and fountains range in price from under $25.00 and specials on books -tools and pots add to the mix. 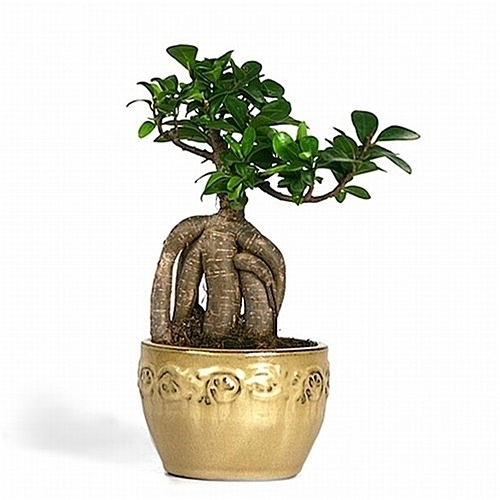 The ginseng ficus bonsai tree, known by its shape of the root and stems, can be kept both indoors and outdoors, and is also one of the most hardy species of Bonsai trees. A very easy plant to prune and water, the Ginseng Ficus Bonsai Tree is perfect for the Bonsai beginner. Bonsai Tree Factoid: Finding anyone willing to part with their carefully maintained mature Bonsai Tree is a rarity. 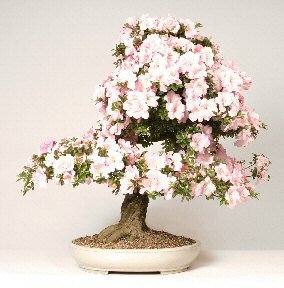 I chose to promote Bonsai Boys of NY because their selection of trees over 10 years old for sale is second to none. I've personally paid 3 times their reasonable prices, after traveling hundreds of miles to collectors homes, spending the day haggling -begging for a chance to own a mature fully trained Bonsai Tree from their private collection. Trees Recommended by Bonsai Boy: Dont have a green thumb? Looking for an easy-to-care-for tree? 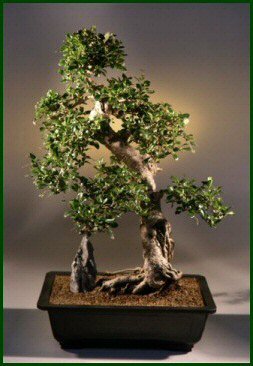 Check out our web page entitled Bonsai Boys Recommendations for trees that do well in less than favorable conditions, such as poor indoor lighting, neglected watering, inexperienced gardeners, etc. Hitoigawa is a highly prized cultivar of Shimpaku from Japan. 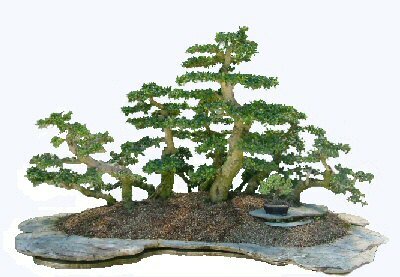 It grows tighter and fuller and is the most compact of all the Shimpaku Junipers. Has significant jin and is trained in the traditional layered style with a curved trunk. 30 years old. 19"x19"x35". Potted in a 14.5" rectangular brown mica container as shown. Suitable 14.5"x10.5" humidity tray is recommended. To purchase add $11.95. Shipped via UPS ground - $95.00. ,,, Join Kathy LaLiberte, a founding Gardener's Supply employee, as she offers seasonal tips and practical solutions from her own garden. Our Innovative Gardener, Kathy LaLiberte, is one of the founding members of Gardener's Supply Company. She lives and gardens in Richmond, Vt. Orchids other Articles ..." By the time August rolls around, my garden is entering its "tough love" phase. There's a huge bare spot where the Oriental poppies used to be. The globe thistle that I didn't divide last spring has splayed out in all directions. Creeping Charlie is taking over the lavender. It sometimes makes me feel like just staying indoors by the fan. If you're having a hard time loving your late-summer garden, here are a few ways to rekindle that love: Gardener's Supply Summer Clearance Sale - Save up to 50%! Buy- roses, bushes and plant stands, yard greenhouses and gardening tools direct from the supplier who's also a full service nursery 24/7! I love browsing Gardener's Supply Company online Outlet as it's like a trip to your local nursery to see what's on sale and get tips. LandscapeUSA.com is a leading destination web site for landscaping, irrigation, and gardening. Combining e-commerce, content, and community, the web site provides something for every gardener, from serious do-it-yourself landscapers, to the novice. Features include shopping, tutorials, technical help and tips, landscape and garden ideas, community discussion, and personalized shopping. Our get-in2 gardeners rate this one of the best available to help enable the landscape and garden industry to take advantage of the Internet. Fix up the patio - build your rose garden- or just landscape..with these selections..
All the good stuff ...Cheap! Overstock closeouts Boscov's Dept store Sierra Trading Post outdoor gear Fine Jewelry Watches Golf Pro Shop Sporting Goods Bicycle Shop Travel Center Automotive Shop Info-mercial TV products Discount Magazine Shop Our mission: Offer True value at the end of every click rather then wasting your efforts on general search engines. Checkout the new Mini-storefront e-catalogs above that save you time & money!